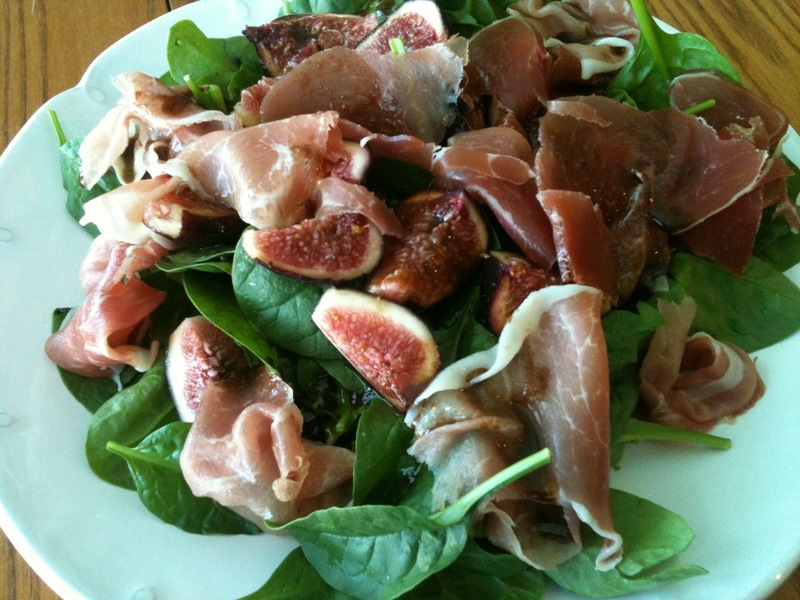 Prosciutto, Figs and Spinach Salad with Balsamic Dressing. It was divinely simple and superbly delicious, as I ate this beautiful salad I felt so thankful. I get to make the choice to eat to thrive, and the food I eat is so beautiful. Once upon a time I told myself, eat foods you want to look like…and I want to be as beautiful as this salad, I don’t want to look like a muffin anymore.